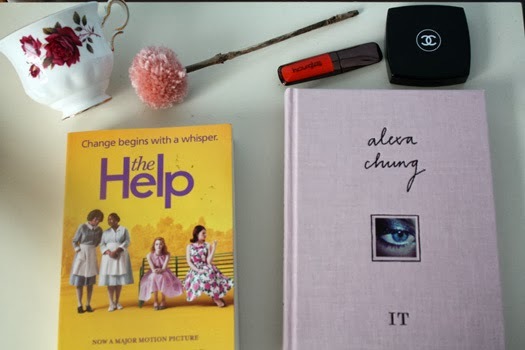 The Help By Kathryn Stockett, available here. I've been wanting to read this book for the longest time and I am so glad I finally did. I don't read a lot of novels but this is easily one of the best I have read in a long time. The Help tells the story of Eugenia 'Skeeter' Phelan, a young writer from Jackson Mississippi, and her quest to challenge 1960's thinking. The novel is written from three perspectives, Skeeter's and two coloured maids Minny and Aibileen. The stories all intertwine and all three voices are relatable. You'll find yourself connecting to aspects of their stories when you read this. I really don't want to give an awful lot away here but this book really is fantastic. I could not put it down and will definitely be rereading this over Summer. It by Alexa Chung, available here. A couple of years ago now Alexa joked to Teen Vogue that she'd love to pen a book about all things Alexa, aptly named the 'Alexicon'. That never happened but now we have It instead. The book itself is like a visual, inspirational diary of sorts. Alexa reminisces on the Spice Girls and how they influenced her style, who exactly are her style icons, heartbreak, how to achieve her effortless makeup look and more. Throughout you will find candid snapshots, personal pictures of Alexa and her friends as well as her own illustrations. If you're already a fan of Alexa Chung's style and want an insight into her world then you will love this book. *Have you got any book recommendations for me? Leave them in the comments below! Me too! The shops here don't seem to be selling it yet either. Definitely pick it up online. You & Ellen will love it! Awesome! It's such a great book Ruby-I think you'd really like it as is The Help. I actually have Pride & Prejudice but never got around to reading it. A Level Literature put me off Jane Austen for a bit. I shall add it to my list!